Last week I wrote about the evidence that vitamins don’t prevent cancer. Now a new study demonstrates that the fruits and vegetables that contain those vitamins don’t prevent cancer. … Paolo Boffetta, M.D., M.P.H., of the Mount Sinai School of Medicine in New York, and colleagues analyzed data from the EPIC study (European Prospective Investigation into Cancer and Nutrition), which included 142,605 men and 335,873 women recruited for the study between 1992 and 2000. The participants were from 23 centers in ten Western European countries–Denmark, France, Germany, Greece, Italy, the Netherlands, Norway, Spain,Sweden and the United Kingdom. Detailed information on their dietary habit and lifestyle variables was obtained. After a median follow-up of 8.7 years, over 30,000 participants were diagnosed with cancer. Most importantly, the press summary explains the interpretation of the findings. In this population, a higher intake of fruits and vegetables was also associated with other lifestyle variables, such as lower intake of alcohol, never-smoking, short duration of tobacco smoking, and higher level of physical activity, which may have contributed to a lower cancer risk,” they write. In other words, the tiny observed benefits are more likely to be due to confounding factors than to represent any protective effect of fruits and vegetables. In an accompanying editorial, Dr. Walter Willet, from the Department of Nutrition at the Harvard School of Public Health that the data suggesting a cancer protective effect of fruits and vegetables was never strong. Yet despite the weak evidence, lay people and professionals alike embraced the conclusions enthusiastically. Why? As a society we have a disturbing tendency to promote simple (and often unproven) answers to complex issues. 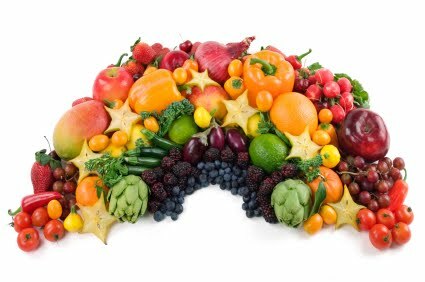 It would be wonderful if cancer, a complex and multifaceted disease, could be prevented by eating fruits and vegetables. Such a simple answer sounds (and is) too good to be true, and should have been greeted with skepticism instead of uncritical acceptance. … In the late 1990s, the results of large prospec­tive cohort studies of diet and cancer began to accrue, and these did not confirm the strong inverse associations found in most case–control studies. Furthermore, a series of analyses that pooled the data from prospective studies for specific cancer sites confirmed the weak and non-statistically significant associations. In a comprehensive 2007 review, these findings led to the reversal of conclusions for strong benefits of fruits and vegetables for many cancer sites that had been considered convincing or probable in a similar earlier review 10 years before. That message has not reached the general public and even many healthcare providers. Fortunately, there was no harm done, and there was possibly a benefit in a decrease in cardiovascular disease as a result. Nonetheless, it is yet another example of a disturbing trend in preventive medicine, the tendency to issue public health recommendations on the basis of weak data. As a result, public health recommendations are often modified or even withdrawn after only a few short years, leading to distrust of science in general and the medical profession in particular.